The rise of “spiritual orphans” in our communities is a reflection of the true state of the family in today’s American culture. I define this category of student as those who have come to Christ, but who do not have the spiritual support system in place to grow in Him, or they are young people who do not have any Godly adult influences in their lives. According to a recent national survey, almost 65% of Americans come to Christ between the ages of 4 and 14[i]. This is an important reality for any church to think through. If your children’s ministry and student ministry are reaching young people for Christ, you undoubtedly have connections with spiritual orphans as a part of your ministry. Plus, we are living in a culture today where most likely the “good, Christian family” does not exist. According to recent statistics, more and more couples are living together without being married; the number of single-parent homes in the US is growing dramatically; there is a changing definition of “family” and there is a growing number of households in America that do not fit the classification of a “traditional” family; and the number of dysfunctional or fractured families is also increasing[ii]. God loves us so much that He sent His Son so that we can have a relationship with Him – John 3:16 and 1 John 4:10. Through Jesus Christ, we are adopted into God’s family – Ephesians 1:4-5. Also, through a personal relationship with Christ, we become children of God, and are actually “heirs” of God – Romans 8:16-17. God Himself cares deeply for human orphans – Psalms 68:5. Humanly however, the likelihood of us having the opportunity to minister to spiritual orphans is great. If we are seeing kids come to Christ, there will be several of them who are from households with very little Godly influence. This fact presents our ministries with a huge responsibility to help these young people become assimilated or integrated into the Christian community. Creatively and effectively present the Gospel. We must never forget the truth of Romans 10:15, “So then faith comes by hearing, and hearing by the word of God.” God brings people into His family through His Word, and people grow in Christ through His Word. Because we are very likely to have a growing number of kids without any other spiritual influence in their lives, it will be imperative for us to make the clear communication of God’s Word a top priority in our ministries. Provide Godly adult mentors. Most of today’s students will respond positively to the influence of significant adults who care enough to build growing and healthy relationships with them. (Of course, it is imperative to build safeguards into our ministries including a well-defined and implemented “child protection policy[iii]”.) However, Godly mentors can provide a new layer of inter-generational relationships in your church’s ministry to young people[iv]. Many of the kids you reach for Christ today will be from households without the positive influence of significant adults. This is one of the reasons why is it so important for the church today to be inter-generational[v] in its ministry philosophy and programming. Show them God at work in the lives of their peers. One of the key advantages of any local church is the larger community of God’s people. Positive peer pressure is so important for kids. If we can help spiritual orphans see God at work in and through the lives of other young people, they will begin to see this activity as the norm. Churches must never be dominated by fun-and-games, nor should they be entertainment-driven in their programming. Activities like that are important of course, but only as a way (along with other means of programming) to show the reality of Jesus Christ in life. All new believers need to see that other Christian can have fun, and that it is exciting to serve the Lord and to live out their faith in real-life situations. Help them connect with the total church. God designed His church to be inter-generational. 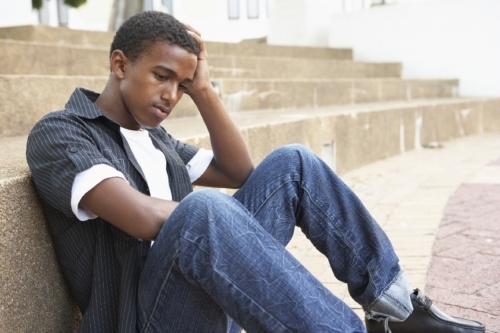 The end result of student ministry is not participation in youth group. It must be that kids grow up on and go on for God as adults[vi]. We must grasp the fact that youth ministry was never designed as a terminal program where our students graduate from high school and then walk away from God’s church. We can help connect them to “big church” via intentional involvement in serving, giving, worship, teaching and preaching, outreach, and other means of developing sweat equity. Young adults are much less likely to walk away from involvement in church when they become adults if they have been personally involved in church-wide activities when they were kids. Encourage good families to “adopt” spiritual orphans. It’s interesting that the world grasps this idea and yet the church falls behind in implementing it. The general community where you live probably has programs like “foster kids” or “big brothers & big sisters”, where solid families take an active role in building relationships with kids from broken or dysfunctional households. Why shouldn’t the church lead the way in this kind of ministry? Probably churches leaders will need to paint the vision of how this could work. But the concept is sound – and it works. Good parents can be motivated to “adopt” kids who need to see what positive family relationships look like by including them in typical family activities like meals, sports, movie nights, etc. May the Lord bless you as you seek to reach out to the “spiritual orphans” in your community. 2019 by Mel Walker – This article originally appeared: http://www.middleyearsministry.com/2019/03/reaching-and-ministering-to-spiritual.html. According to the US Government’s Health & Human Services Department we live in a country with a dramatically increasing population of older people. At this moment, almost 50 million people in the United States are 65 years of age or older – and that number is expected to grow significantly over the next several years. This demographic trend will definitely impact church ministries and programming as we consider how to reach and serve this growing cohort. Even though most of us have been raised believing there is a considerable “Generation Gap”, I am absolutely convinced that the different generations in the church need each other and that both sides of the generational divide actually want the same things in the church. Younger people and older people alike desire to serve and worship God in a local church environment that honors God, that teaches and preaches the life-changing Word of God, and that effectively reaches out to the unsaved and un-churched members of the surrounding community with the Gospel of Jesus Christ. I highly encourage senior citizens to pray for their church’s younger generations – specifically, by name! It’s probably easy to obtain a list of their names from your church’s youth workers. Take each one to the Lord individually. God will begin to put a burden on your heart for them. You will be amazed at how external things fade away as you pray specifically for them and their spiritual growth. Once you have developed the habit of praying intentionally and individually FOR young people – then take the opportunity to pray WITH them. You will be amazed at how receptive today’s young people are for a time of special prayer with older people. It’s also important for the older, established people in the church to actively and purposely encourage them in their walk with God. Take the Biblical examples of Barnabas and Onesiphorus to heart. They were exceptional encouragers. Today’s young people hear so much criticism and negativity. Let’s change that trend in the church. Imagine the positive influence you could have on your church’s teenagers and college age young adults just by being a verbal encouragement to them. Ephesians 4:29 puts it this way, “Let no corrupt word proceed out of your mouth, but what is good for necessary edification, that it may impart grace to the hearers.” Older people should take the initiative. Just say an encouraging word or two to young people in the church foyer or hallway. Believe me, it will be greatly appreciated. Today’s youth love stories. Most of the recent blockbuster movies have been epic tales told as stories. God uses human interest, real-life accounts of real people to touch the hearts of others. I think this is the idea behind the truth in Psalm 78:1-8. Older generations were instructed to tell the next generation “the praises of the Lord. And His strength and His wonderful works that He has done….” So that, “They may set their hope in God, And not forget the works of God, But keep His commandments.” This generation loves “God stories”. Seniors should take every opportunity they can to share what God has done and is doing in and through their lives. Practical ideas abound. Invite young people over to your home and take the opportunity to share your testimony with them. Take a few young people out for coffee. Today’s young people love to connect with older people. I strongly recommend that churches use this as a ministry advantage. This simple action step will help break down the Generation Gap. It should be the standard norm in your church for each ministry position (ushers, Sunday School teachers, VBS leaders, work days, etc.) to include a mentoring relationship with a younger person. Our churches must be intentional about becoming inter-generational. So, if you have any kind of ministry position at all in your church, why not invite a younger person to serve alongside of you? Even if you are not a ministry leader you can still minister with teens by asking them to help you bake cookies to encourage someone in the church, or to go with you to visit a shut-in. The key is to demonstrate your desire to serve the Lord to emerging generations. I believe that every mature Christian in the church should have growing mentoring relationships with younger people. This is the Biblical pattern (see 1 Thessalonians 2:8 and Titus 2) and it should be replicated throughout our churches today. Over 90% of today’s young people have indicated that they would appreciate an older mentor. Yet, most adults feel like they don’t have time to so something like this. Friends, I have said for years that true mentoring is not necessarily a commitment of extra time. It is doing what you already do, just doing it with someone younger. The best mentoring takes place at church by the way. Begin this Sunday by building intentional, growing relationships with younger people. It makes sense for older, spiritually mature people to be intentional about personally ministering to younger people in the church. Let’s bridge that Generation Gap! The reports of influential religious leaders who have been accused and even convicted of being sexual predators are making the news almost every day. These nauseating accounts seem to be more prevalent, and perhaps, even more heinous than ever before. Of course, these perpetrators are not just priests from faraway places; nor are they just clergy members, coaches, or teachers from other denominations that have nothing to do with us personally. The reports are too numerous to explain away or ignore. Kids are at risk today and we must build policies and procedures of protection into our ministries. It’s true that evil is out there. Sin is rampant – and sinful adults with wicked motives abound. But, readers, please hear me. God is still on the throne and we must trust Him to keep our kids safe from the evils of sinfully corrupt predators and abusers. God is in control – and yet, we must follow His Word in developing protections within the church to keep our kids (our own children, if we are parents; and our church kids, if we are church leaders or workers) safe. Christian parents and church leaders alike must do everything possible to put safeguards in place that will protect our kids! I understand that this brief blog post can never be the final or definitive word on developing child protection policies within the fabric of our church’s ministries. But, since I recently wrote an article and published a book about mentoring (Godly adults taking the initiative to develop growing, healthy relationships with younger people), I felt it was important to write a follow up post on some of the practical things we can do to develop and implement precautions and protections into our ministries. Adult mentors should always minister with the blessing of the young person’s parents and family. It is admirable, wise, and even Biblical for Godly adults to want to build personal relationships with kids. The histories of children’s ministry and youth ministry are lined with caring adults who cared enough to develop connections with the younger generations. However, these relationships should always be developed with the permission and understanding of the young person’s parents or guardians. It should always be a danger sign for an adult mentor to seek to build a relationship with a minor without the consent of their parents. I have noticed a scenario recently that may deserve some attention in our ministries. Often it is true that the kids from the most dysfunctional families are the ones maybe the most at risk. Children and teenagers who do not have close relationships with their own parents may be especially susceptible to the impure motives and advances of predatory, evil adults. Friends, I believe that the best adult mentors are caring, Godly adults who work in harmony with the young person’s parents and family members to reinforce how God is already working. Of course, God can and will use other Godly adults to impact kids from weak or dysfunctional families. However, it is imperative for church leaders to see this as a likely issue or concern. The local church itself creates several layers of safety that should be built intentionally into a mentoring ministry. Mentoring must never be adults just hanging out with kids. That would be incredibly dangerous. The structure, programs, authority, and accountability that exist within a local church must be honored and enforced. This includes the role of the pastor, elders, deacons, or other positions of leadership. This also includes the church’s membership procedure; and its policies for how people are recruited, screened, and trained for any type of service within the church. In other words, mentoring should be a church-based program that operates within clear lines of communication throughout the entire church. I’ll be as blunt and honest here as I can. Be very careful of adult volunteers – those people who seem too eager to jump in (especially in a ministry with minors) without going through your church’s established practices for involving people in positions of ministry. Plus, there is a real level of safety and accountability that exists in any local church. Faithful church members who have demonstrated Godliness, authenticity, and dependability over the long haul are probably the best mentors. 3. Adult mentors should always minister within the structure and procedures of the church’s existing child protection policy – and should never go around it. By the way, it should always be a danger sign if any adult is not readily willing to submit to your church’s policies, such as background checks. 4. Adult mentors should always connect with students in public places – and should never engage in a practice of private communication with minors. Mentoring should always be a public ministry. That’s why I always say that the best personal, inter-generational connections are made in the church foyer – in a very public place, that is almost-literately, the hub of church life. 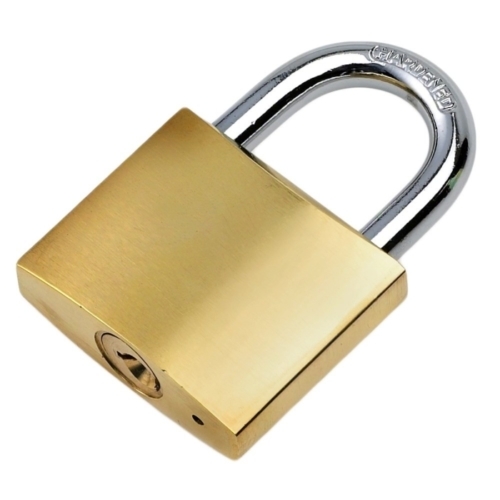 I understand the importance of developing confidential relationships, but secrecy and private meetings must be avoided. I believe that it is possible to build strong personal relationships in very public places. In fact, I think it is a wise thing to do. There is real wisdom in the Biblical methodologies of both Jesus and the Apostle Paul. Much of their work with others took place in group settings (sometimes large groups and sometimes small groups), and often their ministry took place in very public places. Here’s another danger sign: adult mentors should avoid a pattern of private and exclusive methods of communication with minors. In this culture of electronic and digital communication, adults must be careful of on-going, private “conversations” with young people. Please – keep your ministry public. 5. Adult mentors should avoid any suspicion or doubt of their concern for what is best for the younger person. The Bible’s characterization of the importance of an elder being “above reproach” is imperative. Mentors, likewise, should have nothing that others could accuse them of doing wrong. The genuine motive of a mentor will be quite visible. 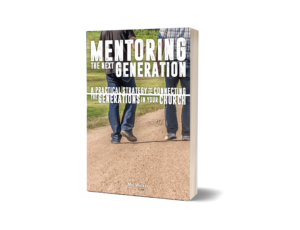 Godly mentors must want what is best for the young people in their churches – and that is that they want the kids to grow up and go on for God! Good mentors should never do anything that might cause others to question why they would be doing this. Never. You can order these books at: http://www.GoingOnForGod.com. Friends, as I mentioned briefly above, I am NOT an expert on this matter. However, I have observed what other churches are doing and I have written about the importance of implementing principles and best practices of child protection policies. This information is included in my recent works, Going On For God and Mentoring the Next Generation. The concept of “mentoring” most likely originated in Greek mythology. In Homer’s “The Odyssey”, Mentor was the older gentleman who was entrusted with tutoring Odysseus’ son and providing guidance and instruction in the absence of his father. From what I understand, Odysseus wanted his son to have another male influence in his life during the times when the soldiers were away from home at war. Our culture and our churches tend to isolate various generations from each other into age-distinctive programming. So many families are struggling. Many families are no longer “traditional” (with a strong Dad and Mom) and too many kids are growing up without the positive influences of Godly adults in their lives. I’ve also met several Christian families who attempt to protect their kids from outside influences and actually detach their kids from the larger body of Christ. I have become more and more convinced that every young person today needs older mentors – and that every mature, older person should be a mentor of younger people. It’s time to connect the generations – especially in the church. Like the ancient warrior’s son as described by Homer, our kids today need the influence from other adults in their lives – especially Godly adults who are committed to encouraging them to grow up and go on for God. 1. Mentoring is a practical way to connect the generations. Sure, it makes sense to keep children together with other children, teenagers with other teens, and adults with other adults in many aspects of our church ministries. There are many valid reasons for doing just that. However, the different generations need each other, and mentoring is an ideal way to institute a layer of older-to-younger connections in your church. My own research has revealed that most young people would love to be mentored by significant older adults – and most older adults would be interested in positive relationships with young people. All it takes is a little bit of motivation, organization, and intentionality. 2. Young people want positive relationships with older adults. I want to expand a little bit on what I just mentioned above. 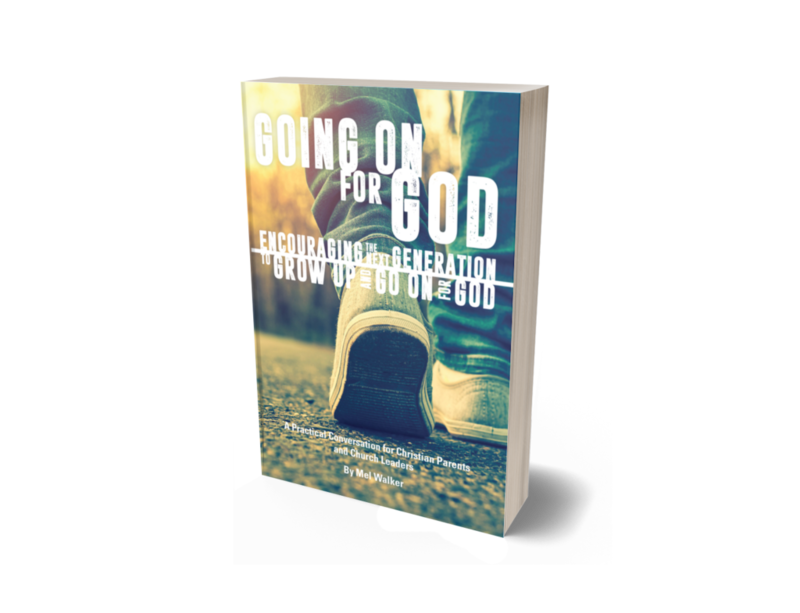 It has been my experience that the current younger generations in the church (such as “Gen. Z’ers” and “Millennials”), usually welcome positive, growing, and healthy relationships with caring and Godly adults. Often, it’s the older adults who feel as if they don’t have the time to develop these relationships. However, the real genius of effective mentoring is that it is not necessarily a commitment of extra time. I tell people all the time that real mentoring is just “doing what you already do, just doing it with somebody younger.” Almost anyone can do that! 3. 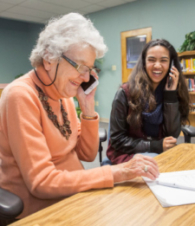 Mentoring gives older people opportunities to connect with younger people. For about the last 30 years I have had the opportunity to visit about 30 different churches each year. Most of the older people I’ve met love their church and want to see it continue as Christ tarries. They just don’t know how to hand off ministry and leadership opportunities to upcoming generations. They don’t want their young people to walk away from church, but they are not sure exactly what to do about it either. Friends, mentoring (especially in various aspects of ministry) may be your answer. If older people are willing to develop positive and personal relationships with young people at church (like even in the church foyer), they often find that these young people have a heart for God and would love to live for Him over the long haul. It is amazing to me how encouraging, personal relationships break down the barriers of external trends and fads. Who knows? Maybe the two generations have more in common than they realize. 4. Mentoring provides ways for people to minister to others who have things in common. That being said, one of the best ways to make mentoring connections is through the things the two generations may have in common. It’s not that hard to identify some areas of commonality: you go to the same church, you live near each other, you have the same interests or hobbies, or the older person has gone through life experiences that the younger person is going through now. I love the story in Acts 11 where Barnabas was sent to the early Antioch church to encourage them spiritually (see Acts 11:23). The greater text in that chapter tells us that one of the reasons Barnabas was sent there was because he had certain things in common with many of the people there. Those background experiences gave him a great opportunity to connect. Take a look at Titus 2:1-5. The Apostle Paul specifically instructed his readers to connect the generations. He believed that older people could be used greatly by God to “admonish” or encourage, train, teach, and challenge the younger people in that church. This pattern is what God intended. He wants older believers to minister to younger people and to encourage them in the things of the Lord. As this passage indicates, the older men and women certainly have the life experience to help younger people in specific areas of life – like in family situations (see verses 4 and 5). 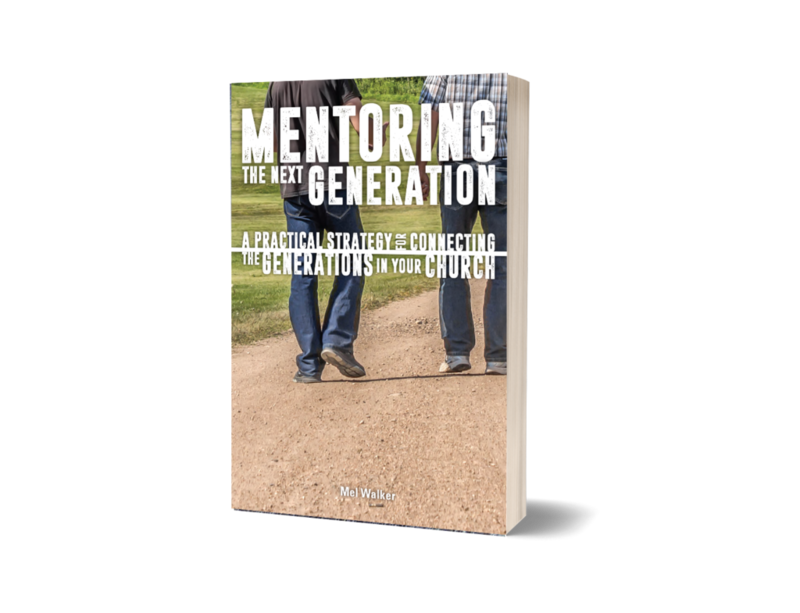 NOTE: For more specific information on how mentoring connections could be developed and implemented in your church, take a look at my new book, Mentoring the Next Generation: A Practical Strategy for Connecting the Generations in Your Church. You can purchase a copy on my website at: www.GoingOnForGod.com.